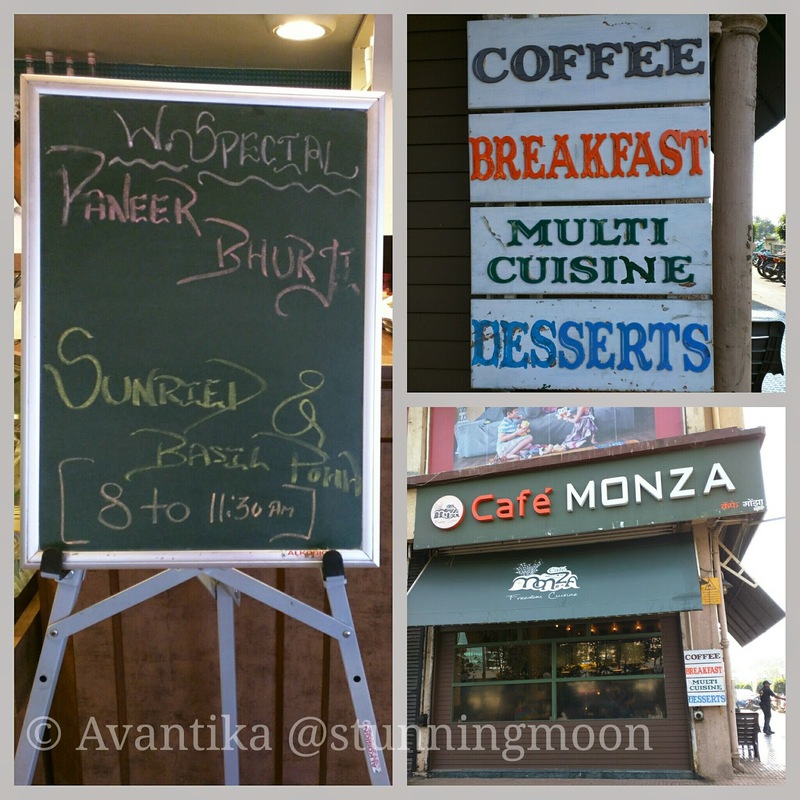 Jill Of All Trades: #NaviMumbaiFoodies Breakfast at Cafe Monza! I am NOT a morning person. The only things that could wake me up early are strict job timings, my 4 month old baby or FOOD! Haha! 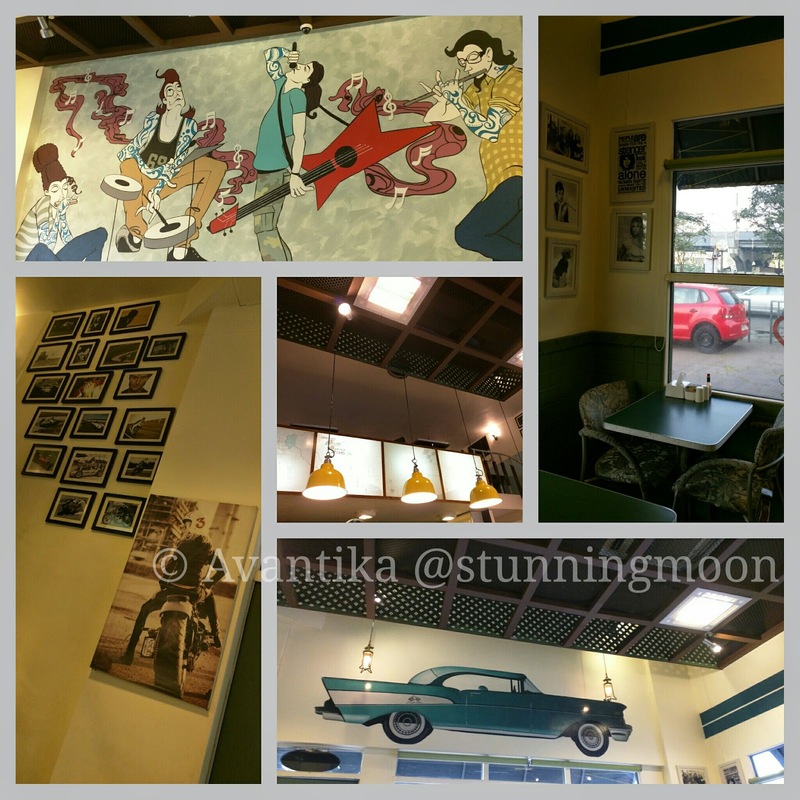 Yes, today, we foodies in Navi Mumbai ended up for breakfast at Cafe Monza. Though this place is a stone's throw away from where I reside, I was not aware of the fact that they open up at 8.30 am! Have been there a couple of times in the last two years or so and it's THE hangout place for students, corporates as well as families. Though I have tried their paninis, pastas and starters, had not even eyed their breakfast menu. So they have the American classics - eggs, toast, sausages, waffles and pancakes. And ofcourse, coffee and tea. 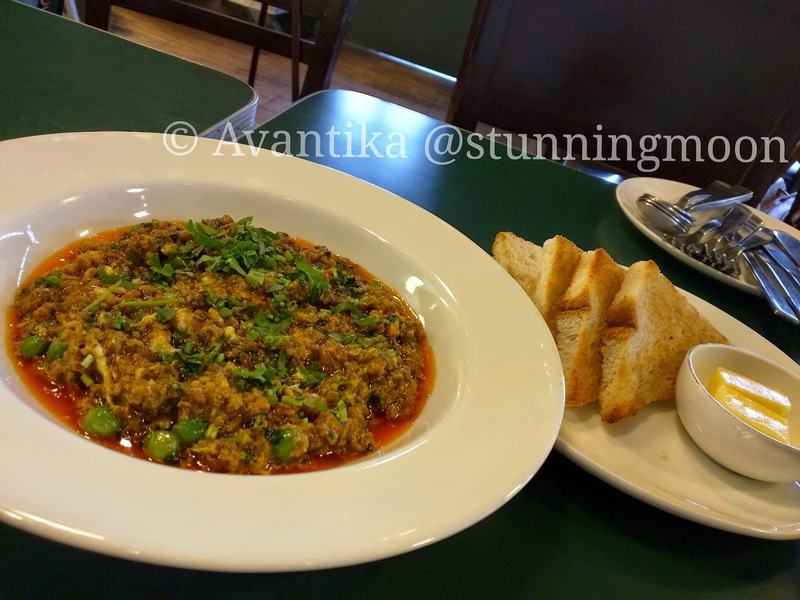 They have recently also introduced Indian Breakfast items in the form of Paneer Bhurji and Sundried Tomatoes & Basil Poha. 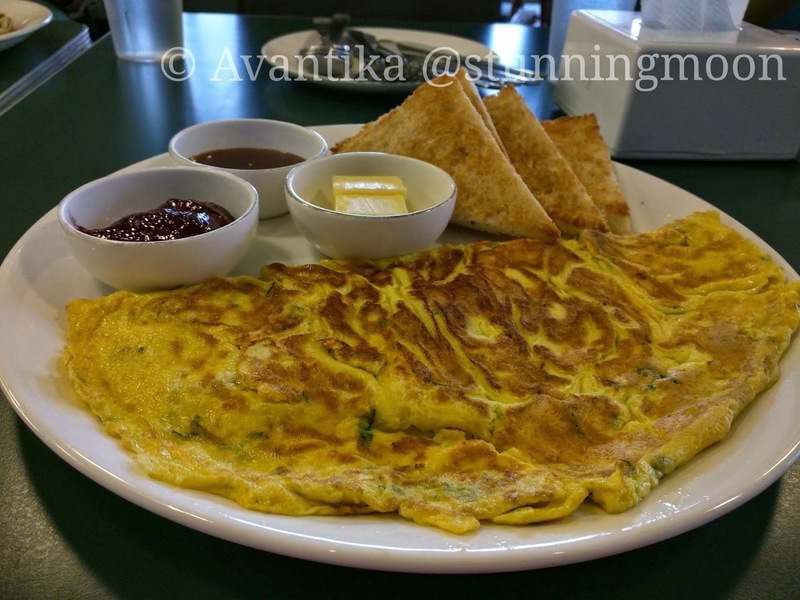 I ordered a standard masala omelet that comes with toast, butter, jam and tamarind chutney. Other's ordered an egg white omelet, sausages with mashed potato, kheema ghotala and Belgium waffle. Along with these we ordered cappuccinos and masala chai. The service was decent, didn't have to wait too much for our orders. I loved the freshness, perfect taste and how the toast was perfect too. The quantity is sufficient for a decent breakfast on a hungry stomach. 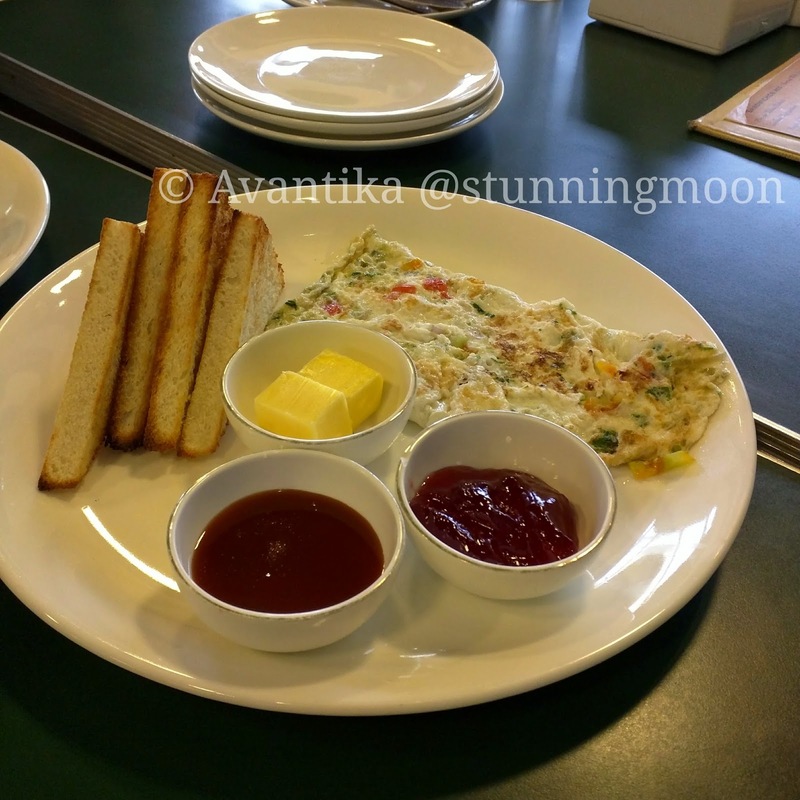 The egg-white omelet was rather nice too, and the flavour of green chillies came out beautifully in that one. 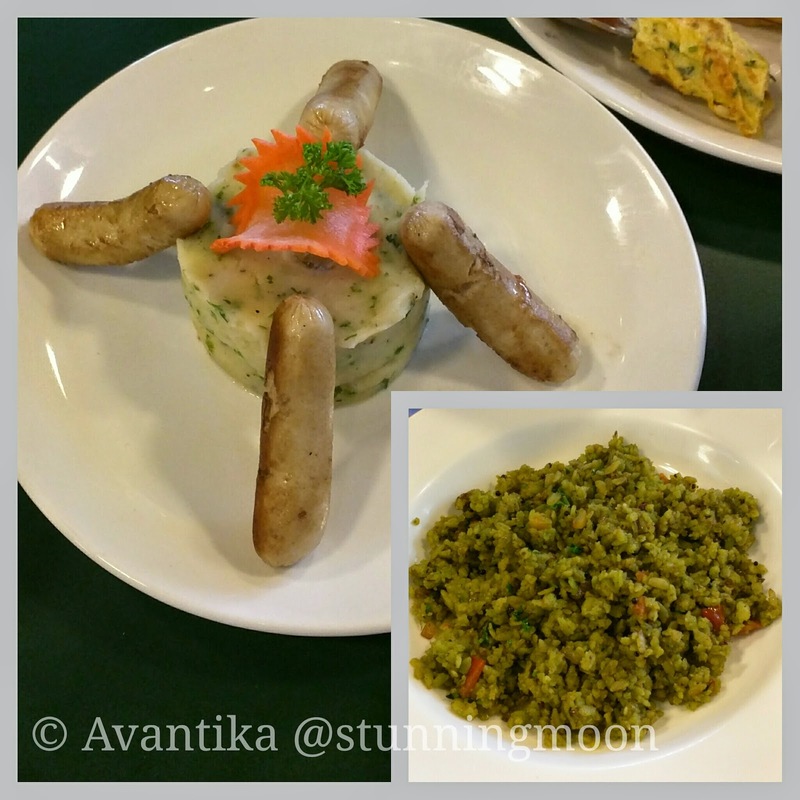 Sausages were fine, loved the mashed potato (which by the way is a favourite of everyone when they visit Cafe Monza). Kheema Ghotala is just like it is supposed to be, sinful! It can be a tad bit greasy and heavy for some people. 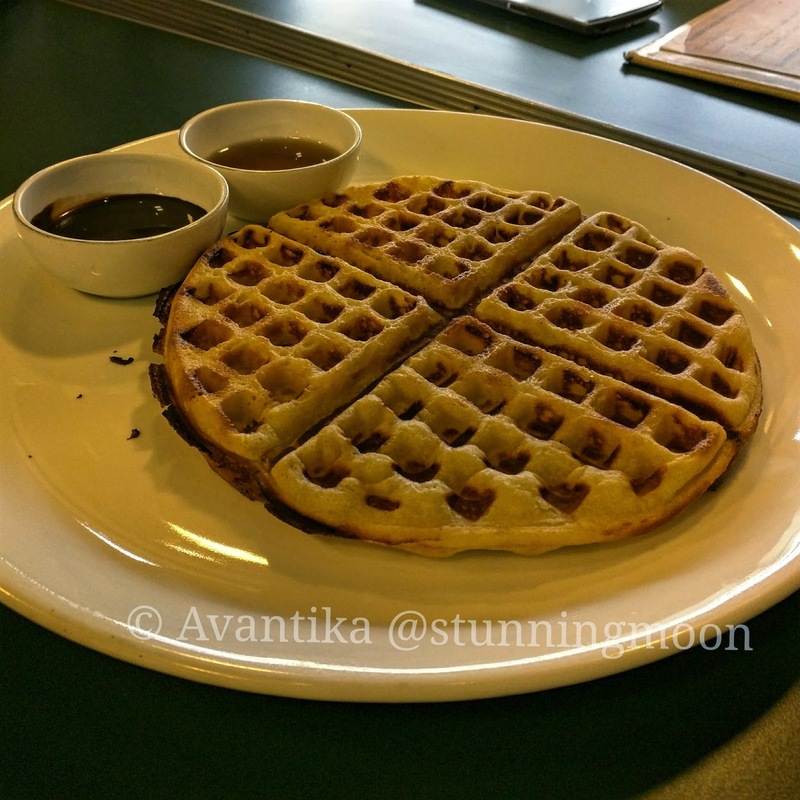 The Belgium waffles were soft, fresh and came with melted chocolate and maple syrup. Only pancakes was left from the batch to try out! The coffee was okay though, I personally prefer it hotter and stronger. The outlet manager insisted we try the Sundried Tomato & Basil Poha and some Masala Chai, so we did! These both were outstanding, surprisingly so! The poha was green in colour because of the basil and was very delicious! The chai was refreshing too. Overall, it's a cozy little place where you can spend hours catching up with friends, reading or even checking your emails. They have a upper level that seats about 24 and the lower level about as many more. They started the Indian Breakfast on demand from people who visit the Kharghar Golf Course from all over Mumbai and stop-over for breakfast. So for those of us who cannot keep traveling to SOBO or Bandra for fancy breakfast, this is it! I will definitely be back to try whatever was left from the breakfast menu, after all apart from the done and dusted McDonalds breakfast, this is my sole option in the vicinity! If you have been here and have any favourites, do recommend! Thanks for reading!